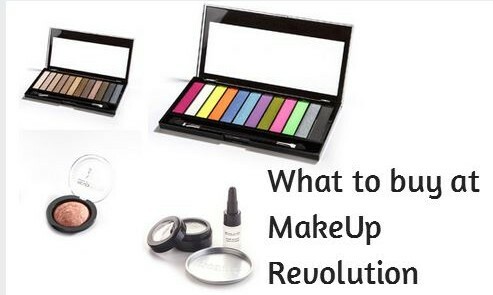 What I was particularly interested in is the idea of dupes and how MakeUp Revolution offers some products that could substitute much more expensive brands, so I’ve added that information where I can. Anyway, after reading literally stacks of beauty blogs, here are the products that get the most positive reviews and are a hit with bloggers. A number of bloggers think that the Iconic palettes are dupes for the famous Urban Decay Naked Palettes, as the shades are very similar. A combination of pearl, shimmer and matte shades at £4 a palette compares nicely to the original at £37 (saving £33!) a palette. This is what the beauty bloggers think: MakeUp Revolution Iconic 1 is a Naked dupe, MakeUp Revolution Iconic 2 is a Naked 2 dupe and MakeUp Revolution Iconic 3 is a Naked 3 dupe. At £3, compared to a YSL version at £27, this laquer has great pigment, blends easily and lasts. The product is in a pump bottle and provides a rich creamy blush. The finish is subtle and natural. The bloggers believe that it is comparable to other premium brands! It’s available in six different shades. The One Concealer (£3) looks very similar to the Benefit Fake Up Concealer (£15). It’s available in three shades and the outside layer is supposed to be super hydrating, so ideal for ladies with dry skin around their eyes. It gives very light coverage and reduces the appearance of dark circles for a natural look. The pigmentation and texture are winners with this range of blushers. They blend easily and give a subtle shimmer and pretty glow. At only £2.50 for fans of shimmery blushes, you could get all six. There are two large palettes: Matte Brights and Acid Brights. They are both REALLY bright and will get you noticed. They come in a mix of 12 pearl, shimmer and matte shades. At £5, the shad ow can be used straight from the pan or mixed with the liquid primer. The blurb on the Superdrug website says: “Create the most awesome metallic foil finish eye look with Awesome Metals Eye Foils. 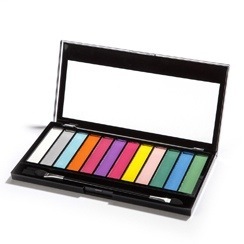 Includes a liquid primer, mixing tray and the intense pigments – simply add a touch of the primer to the tray, add some powder, mix and then apply for a long lasting shiny and buildable dramatic eye look!” Let’s just say, it’s an eye-catcher – just one layer provides vibrant colour that stays on for ages. There are five fabulous shades. MakeUp Revolution offers two foundations. The One got the most mentions and the general consensus is that The One is light and so better suited for natural looking coverage and is a good summer foundation. It comes in a rather dinky bottle and is available in 16 shades. A tip if you decide to buy: the foundation is really watery, so shake before you pour. Images are from the Superdrug website. Thanks for the list. I am going to try out the baked blushers and will buy from Superdrug stores as the range is there now. Love this makeup. Thanks for the round-up. thanks Sandra. I am going to get some lippies this weekend. See how they compare to my Mac staple lippies. Thanks Razia for the info. Loving the post too!